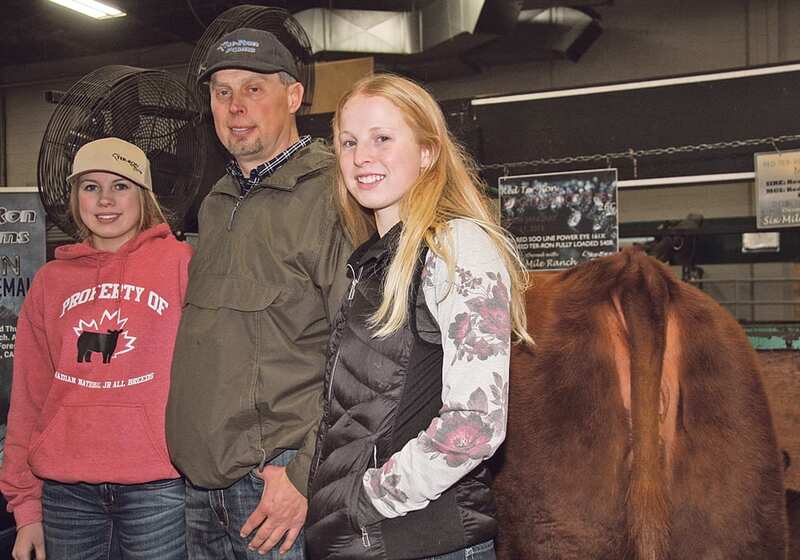 REGINA — Having a high-selling heifer at Canadian Western Agribition is gratifying for one Charolais family that has been involved with the breed for more than 40 years. “I did not expect her to sell that high. 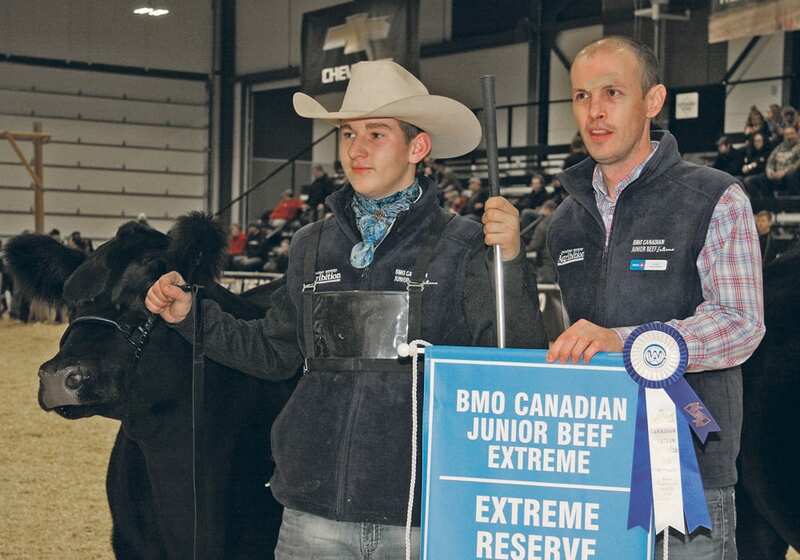 I knew the guy was interested but I didn’t know how much she was going to go for,” said Stephen Johnson, whose family farms at Barrhead, Alta. 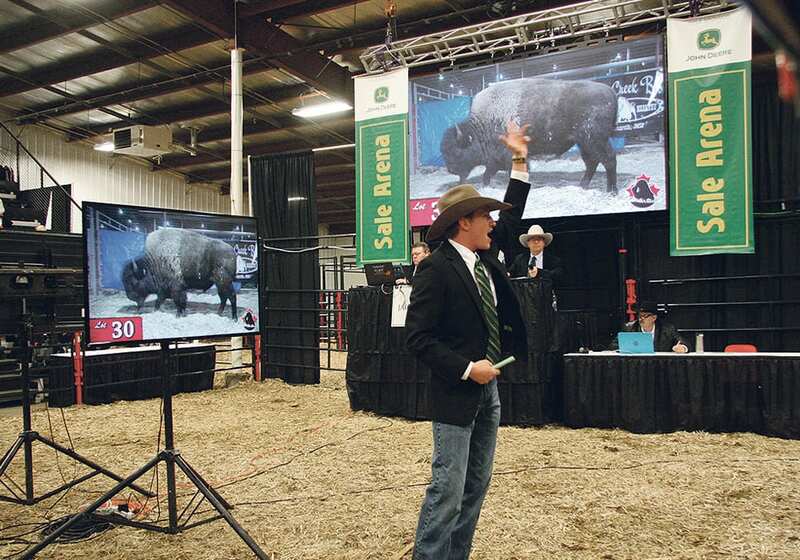 The young female sold for $26,500 and is going to Wild Indian Acres in Minnesota. 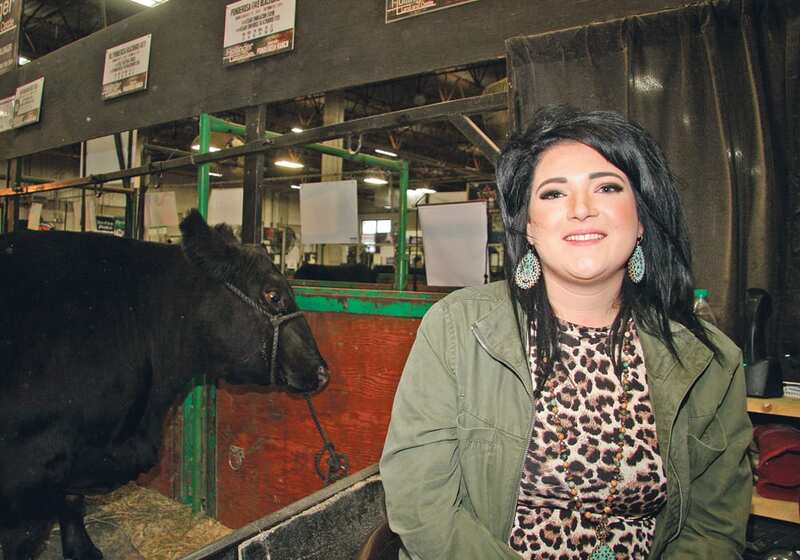 “She will be a show heifer for a while and then she will turn into a mama cow,” he said. 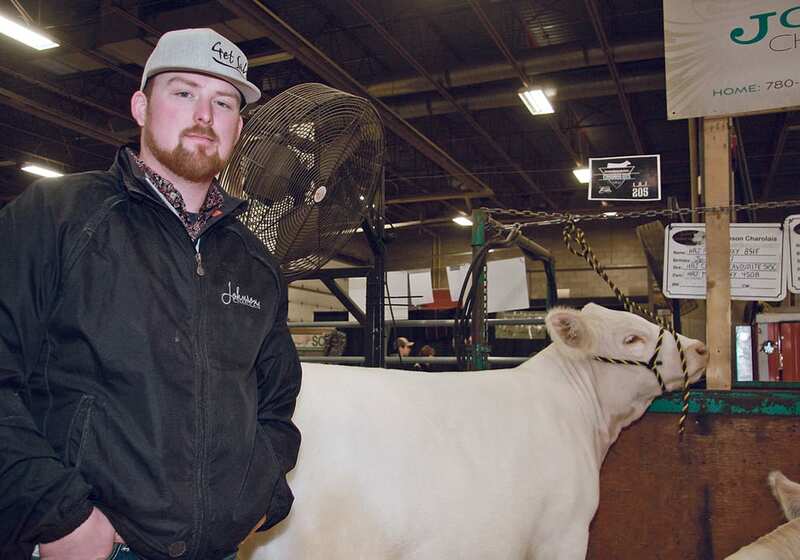 His father, Herb Johnson, bought his first purebred Charolais when he was 15 and the family continued with the breed on their century-old farm in northern Alberta. 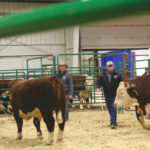 They have about 130 Charolais and 80 Simmental cows and hold an annual bull sale. Stephen works on promoting the cattle while his wife, Dacie, shows them. 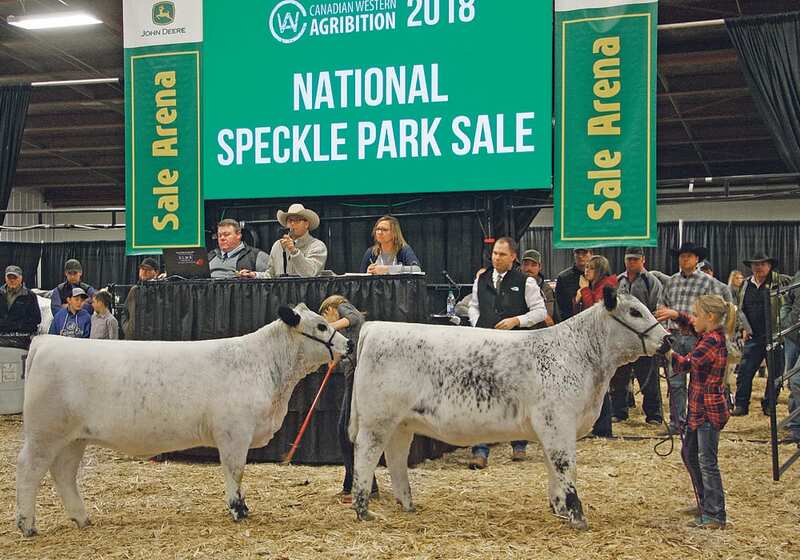 The Charolais is split between purebred white and red factor cattle. 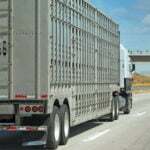 “We sell a lot of red and tan bulls to our customers. They want the colour because they have a red cow herd,” he said. “We have some that are actually liver coloured. In the early 2000s, we were actually selecting for that when there was a big push for the red Charolais. No one wanted the silver and buckskin calves. 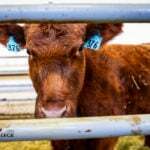 Now there is more push to use white bulls on red cows and black cows to get the silver and the buckskin calves,” he said. 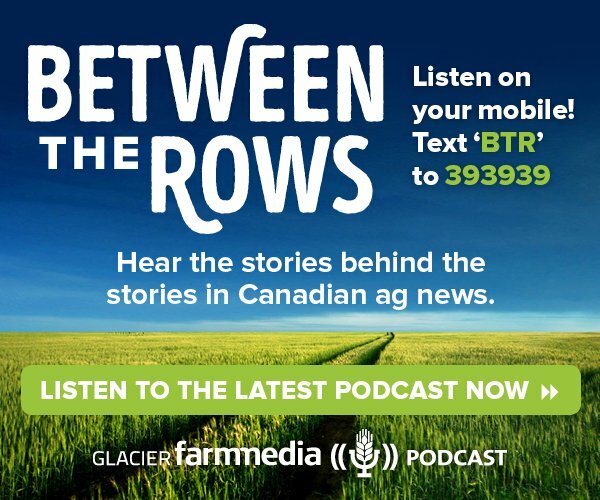 The family also has a grain farm and Stephen works for Farmers Edge as a crop manager for northern Alberta.